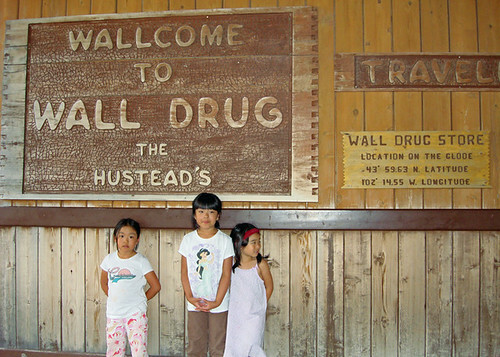 Driving from Oacoma to Keystone yesterday was mostly a sight-seeing day with visits to the Badlands National Park and the Wall Drug store in Wall, SD. The kids are a little distracted in that picture because we were talking to some people who were sitting on a bench outside the store. Today will be another short-drive day so that we can spend time visiting Mount Rushmore.